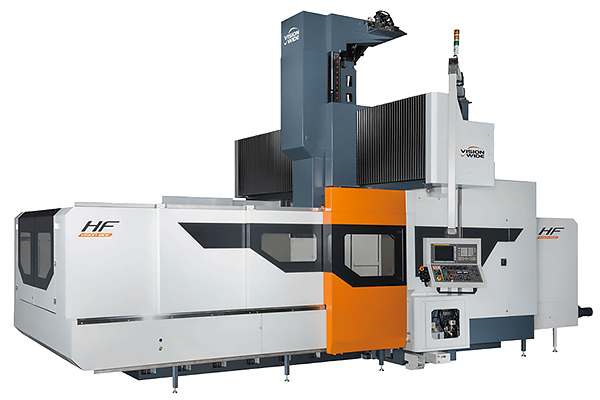 We developed tool center point compensation, auto multi-angle head attachment, and auto tool change system to complete auto 5-face machining. High rigidity box base, best span worktable guideways, and wider load dimension ensured best level dynamic accuracy. Cross-section square beam enabled the center of the head close to the beam center to ensure heavy cutting ability.